As a result, many private lenders offering conventional loans have added this as a requirement for their loans. We have partnered with the engineers at Foundation Certifications to provide these certificates. The process takes approximately 3-5 days with rush service available. 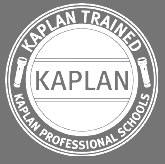 Ordering a Foundation Certification is easy. Please contact us, then simply complete our online order form at http://www.FoundationCerts.com/orderand our team will immediately go to work for you. According to the EPA – Radon is the number one cause of lung cancer among non-smokers. Overall, radon is the second leading cause of lung cancer. Radon is responsible for about 21,000 lung cancer deaths every year. Radon is an odorless, tasteless and invisible gas produced by the decay of naturally occurring uranium in soil and water. Radon is a form of ionizing radiation and a proven carcinogen. Lung cancer is the only known effect on human health from exposure to radon in air. Thus far, there is no evidence that children are at greater risk of lung cancer than are adults. In managing any risk, we should be concerned with the greatest risk. For most Americans, their greatest exposure to radon is in their homes; especially in rooms that are below grade (e.g., basements), rooms that are in contact with the ground and those rooms immediately above them. Radon is a preventable health threat to many Minnesotans. 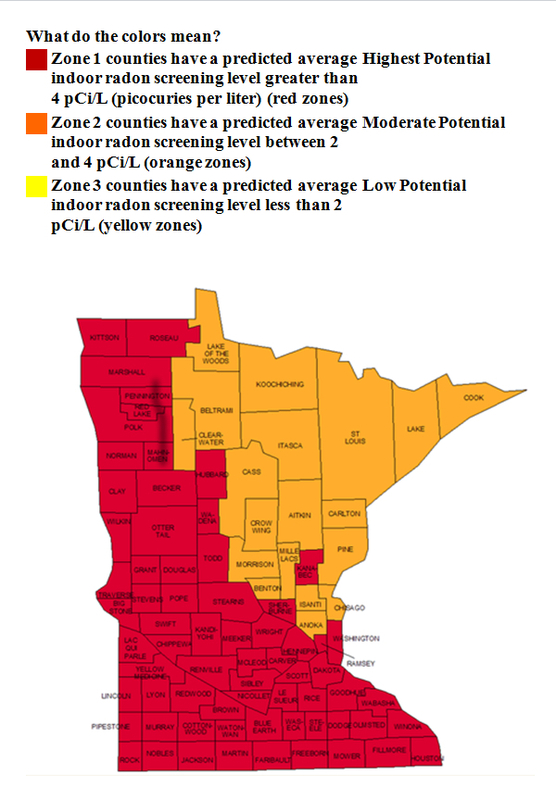 The Minnesota Department of Health (MDH) estimates that one in three (1/3) existing Minnesota homes have radon levels that may pose a large health risk over many years of exposure. Fortunately, radon problems in existing homes can be fixed. According to the EPA lead poisoning can be harmful to adults, children, and babies. Our lead testing swabs are the only EPA recognized instant lead detecting product. The average percentage of water in an adult human is 66%. An average individual uses about 50 gallons of water a day. The average residence uses 107,000 gallons a year. Even though 80% of the earth’s surface is covered in water, 97% of the earth’s water is in oceans or seas making it undrinkable. And of the remaining 3 Percent, 2 Percent is frozen and unusable, leaving only 1% for suitable drinking water. Studies have found children are more susceptible to dermal absorption than adults. This is because they have a greater surface area to body weight ratio than adults. Children’s tissues, organs and biological systems are still developing. Children are in rapid development from infancy to adolescence. This rapid development, combined with immaturity of body organs and systems, predisposes children to potentially more severe consequences within certain age ranges and windows of vulnerability. Circulatory rates are higher as well which increase their susceptibility to toxic effects. In 1991, the EPA concluded that the average person can absorb more contaminants from bathing and showering than from drinking polluted water. A Nitrate (NO3-) is a water-soluble molecule made up of nitrogen and oxygen. It is formed when nitrogen from ammonia or other sources combines with oxygenated water. Nitrate is a natural constituent of plants and is found in vegetables at varying levels depending on the amount of fertilizer applied and on other growing conditions. Infants who are fed water or formula made with water that is high in nitrates can develop a condition that doctors call methemoglobinemia. The condition is also called “blue baby syndrome” because the skin appears blue-gray or lavender in color. This color change is caused by a lack of oxygen in the blood. People who have heart or lung disease, certain inherited enzyme defects, or cancer may be more sensitive to the toxic effects of nitrate than others. In addition, some experts believe that long-term ingestion of water high in nitrate may increase the risk of certain types of cancer. Lead in drinking water can also cause a variety of adverse health effects. In babies and children, exposure to lead in drinking water above the action level can result in delays in physical and mental development, along with slight deficits in attention span and learning abilities. In adults, it can cause increased blood pressure. Adults who drink this water over many years could develop kidney problems or high blood pressure. Health effects include thickening and discoloration of the skin, stomach pain, nausea, vomiting, diarrhea, numbness in hands and feet, partial paralysis, and blindness. Arsenic has been linked to cancer of the bladder, lungs, skin, kidney, nasal passages, liver, and prostate. There are a variety of bacteria, parasites, and viruses which can cause health problems when humans ingest them in drinking water. Testing water for each of these germs would be difficult and expensive. Instead, water quality and public health workers measure for the presence of bacteria in drinking water using coliform bacteria as an indicator. The presence of any coliforms in drinking water suggests that there may be disease-causing agents in the water. Sources- EPA, MDH, Wisconsin DNR. A home inspection is a visual process where all of the items typically used within a home are tested and/or operated to verify proper operation or installation. A representative number of doors and windows are opened and closed, roofing materials inspected, air-conditioning and heating systems are operated depending on temperature and operational conditions. The Inspector will attempt to operate all plumbing fixtures. Upon completion a report will be distributed to you within 48 hours of the inspection. New construction inspections are performed at the completion of construction, but prior to your final walk through with the Builder’s Customer Service Representative or Superintendent. It is always a good idea to verify that utilities (gas, water, and electric) have been turned on, either by you or the Builder depending on the Builder’s policy. The inspection should be scheduled just a day or two before your final walk-through with the Builder. This will ensure that most, if not all, last minute items have been completed prior to your inspection. At the conclusion of the inspection a completed report will be sent, brought or emailed to you. Investor property inspections are performed prior to purchase as well as periodically during ownership. Pre-purchase inspections are performed to identify defects prior to taking ownership to negotiate repairs or price adjustments which reflect the condition of the property. Periodic inspections for properties currently in your portfolio would ensure the identification of needed repairs following a long term tenant’s departure. Long-term tenants sometimes neglect to mention repairs and/or abuse to the property during their tenancy. Identifying those problems early is the key to profitable ownership. Listing inspections are very good for the homeowner who may not be in tune with the condition of their home. A great many sales are cancelled due to the buyer’s shock at the “functional condition” of the home. It may look great, but have serious technical, safety, or functional issues present without the owner’s knowledge. 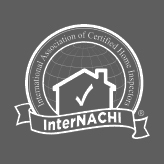 Having the home inspected prior to placing it on the market is the ideal way to identify and either repair or disclose the issues found in the Inspection Report. Repairing the items would be the most beneficial towards completing the sale. However, there may be financial reasons where the owner can’t make the repairs. Disclosing them up front and pricing the home based upon that disclosure will often times produce a higher net sales price for the owner.